There are a few things that you must keep in mind when planning for a new commercial construction project. Some of those things include the project’s budget and schedule. Your goal should be to stick to your budget while simultaneously making sure the project is on schedule. Sometimes, as much as you try to follow your plan, things don’t go as intended. The only real exception is if you are experienced in commercial construction. Unlike residential plans, the complexity of commercial projects makes their planning even more complicated. During the budgeting process, it’s easy to allocate funds to the building’s aesthetics. That is, the finishing touches that people will actually see. However, we cannot emphasize enough about one core area that should be among your top priorities: the building’s foundation! While it may never be seen, the foundation of your structure is a vital aspect to its strength and stability. Any issues with the foundation can quickly lead to major structural problems. At worst, your building could come crumbling down. When it comes to this important element, always insist on quality. A quality foundation will ensure that your building lasts a lifetime. This is another detail that you should consider when planning your commercial construction. The soil composition plays a big part when it comes to your building’s structural strength. Not known to many people, the composition of the soil is just as important as the foundation quality to the building’s integrity. As such, builders should seriously consider soil type when planning for construction. Continuous foundation, also known as “strip footing”, is placed underneath the perimeter foundation walls and shear walls to help support the structure. These footings spread the load onto a wider area as they enter the soil; dispersing the pressure exerted on it. Unlike continuous footing, a spot footing is used to support a specific area, like those containing columns. Although, when a series of spot footings are connected together they can create a continuous footing. By linking spot footings together, it increases the bearing capacity. Continuous and spot foundations are usually wider than they are thick. And, for extra strength, they may require enforcement from steel rods. This is especially necessary for areas that bear more weight or where soil conditions are poor. 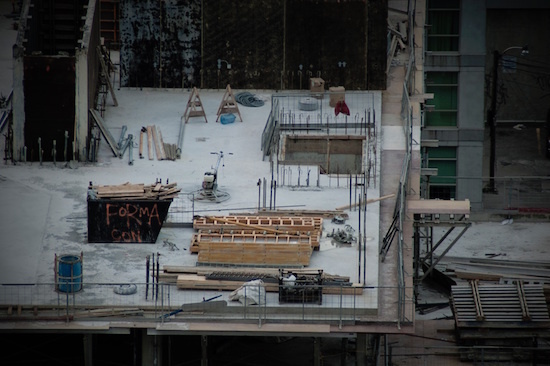 A mat foundation is also called a raft foundation. Essentially, it is a continuous slab reinforced with steel. This slab rests on the soil that extends over the entire footprint of the building. Mat foundations are particularly common in areas that have poor soil conditions. 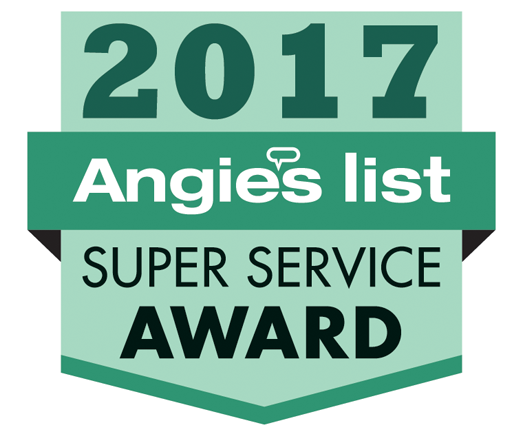 So, they are perfect for Texas, where soils is constantly contracting and expanding. The expansion occurs when it rains, as the clay soil absorbs the water and swells. When this happens, the soil then exerts pressure on the building. This may cause what foundation experts refer to as foundation upheaval. 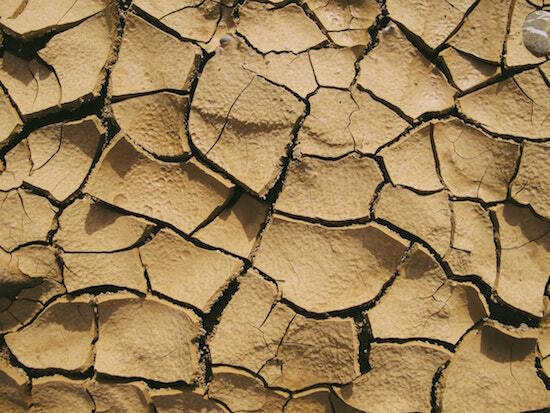 When it dries, the soil loses water through evaporation and the soil shrinks. This causes the foundation to sink. Left unchecked, foundation sinking can wreck a home and require extensive work to repair. Since mat foundations are heavily reinforced, they help control shrink-swell soil issues. A monolithic foundation is poured all at once and is reinforced with grade beams and post tension cables or re-bar. This type of foundation is used on structures with lightly loaded foundation. This type of foundation is typically used to support walls that are more uniformly loaded, rather than column loads. Monolithic slabs with grade beams are popular because they allow you to save time as well as money on labor. 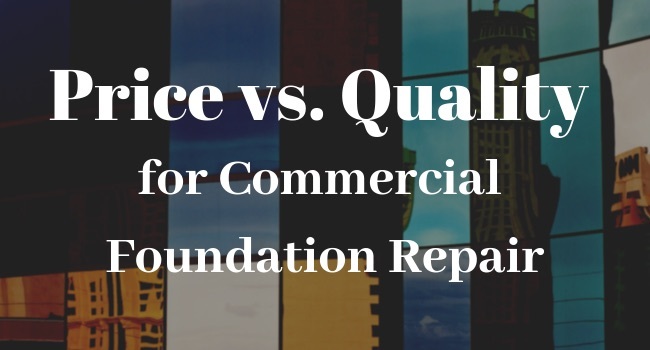 However, it’s important to note that the construction of your commercial foundation shouldn’t be focused solely on cost alone. When planning a commercial construction project, it pays to understand the area’s soil conditions. This will help you make an informed decision regarding which foundation type is suitable for the construction. Remember, the foundation is a core component of the entire structure. When it’s sound, the entire structure is safe.